Paul Smith’s instantly recognisable multi-coloured stripes provide the trim for this silk pocket square, and will bring a dash of the designer’s wit and charm to your tailored attire. Made from 100% silk in a light blue polka-dot pattern, this piece is the kind of informal accent that’s perfect for livening up an ensemble in the upcoming warmer months. Made in Italy, you can pick one up now from Mr. Porter. 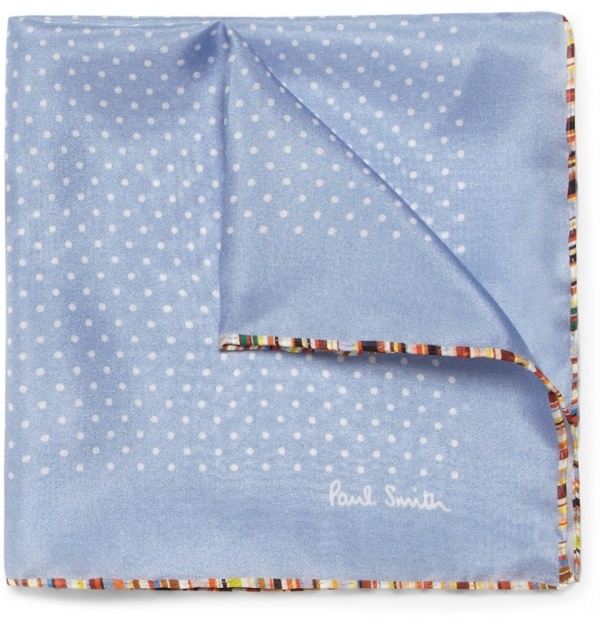 This entry was posted in Accessories and tagged Paul Smith, pocket square, Silk. Bookmark the permalink.